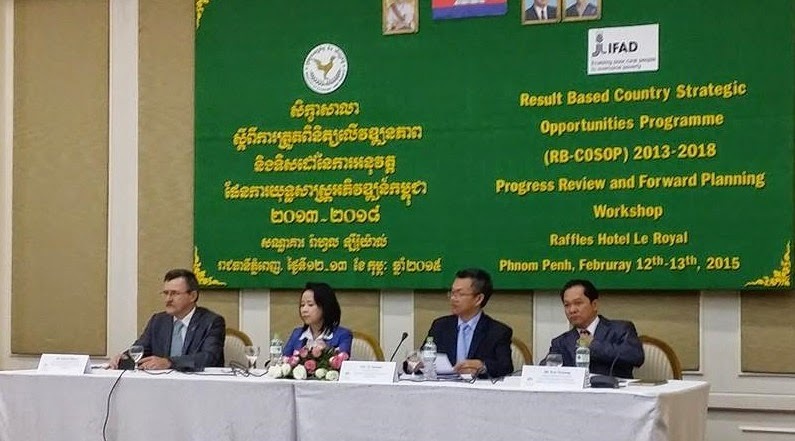 On the 12th and 13th February 2015, over 60 development practitioners from Cambodia including experts from Vietnam and Madagascar and high level stakeholders from the government joined to review the progress of the IFAD COSOP (Country Strategic Opportunities Program). 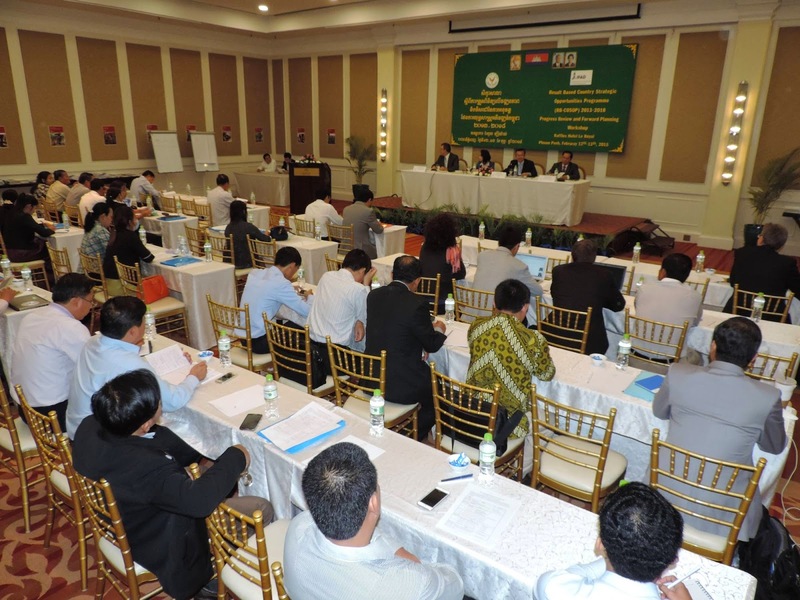 The COSOP, which structures the Country Programme and its field activities, was initiated in 2012 and has provided a range of opportunities for development partners, line ministries and various agricultural bodies to meet and assess ways to better improve the extension of services for rural populations involved in agriculture. This strategic program aims to build on lessons learned of the ongoing agricultural projects run by the Ministry of Agriculture Forestry and Fisheries and IFAD. 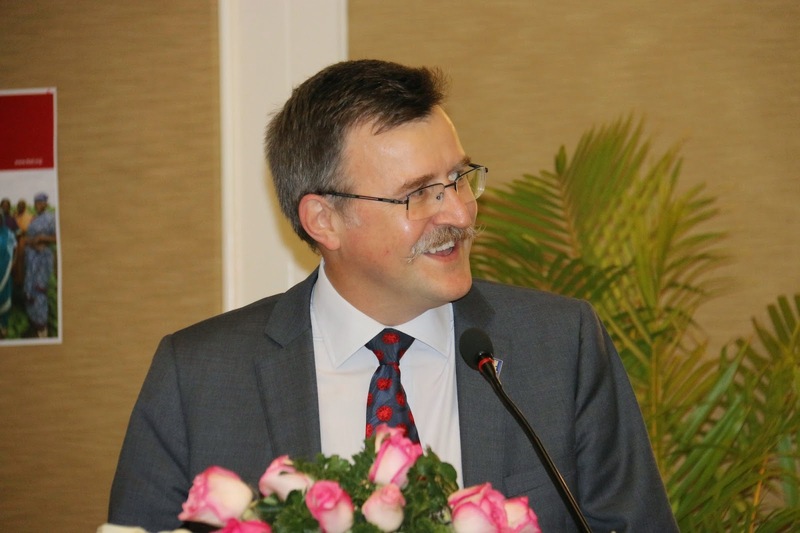 Currently 3 major IFAD funded projects are underway (PADEE, RULIP and TSSD - with ADB co-financing). 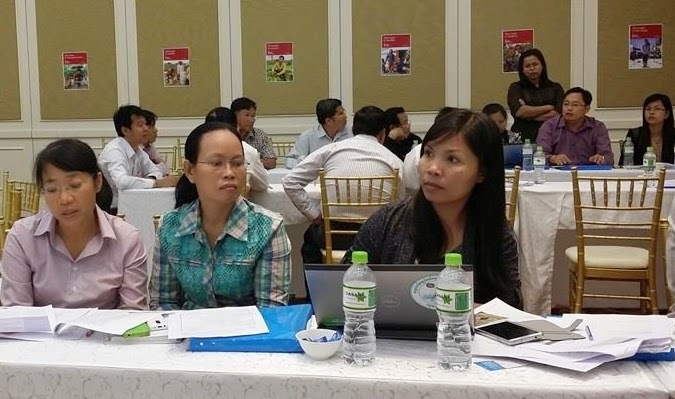 Drawing from decades of work in the country and taking into consideration the changing agricultural landscape, IFAD and the Royal Government of Cambodia have designed a new project: ASPIRE. This new program starts this year. The two day workshop provided the opportunity to review progress on the ongoing projects and to set the stage for the launch of the next project. The first day was focused on addressing partnerships, with various development partners taking part in the discussions. IFAD and the RGC repeated their will to engage other development partners to align with the ASPIRE project that will have a national reach. 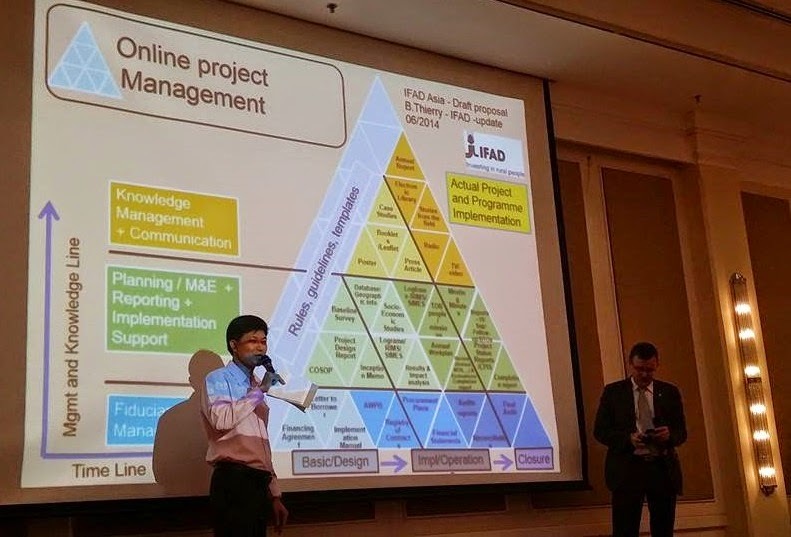 The second day was focused on the implementation processes and looked at the various technical challenges brought about by the scale and complexity of the new project. In the process, the various implementation partners could express their views and better prepare their action plans in a participative manner. During the discussions, some important information was released, in particular the announcement of a new country office for IFAD and signing of an host country agreement. This will help IFAD to better support the government during the implementation of its increasingly ambitious projects. 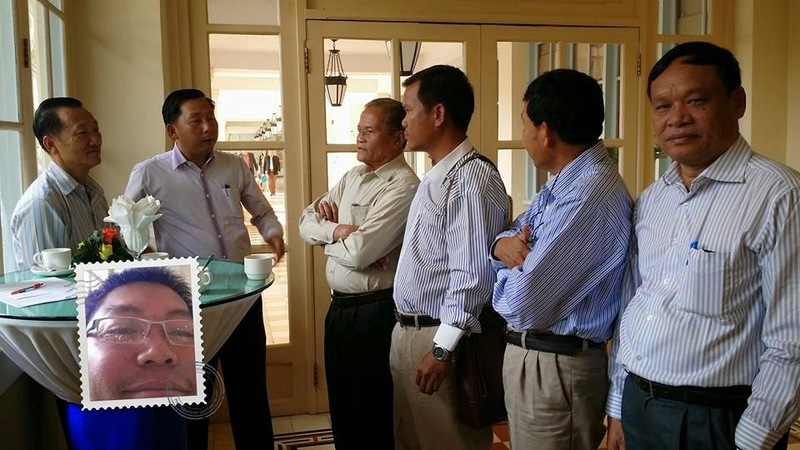 A delegation from Phnom Penh will be going to Rome to sign the finaning agreement of the ASPIRE program and finalize the opening of the Country Office by the 5th of March 2015. 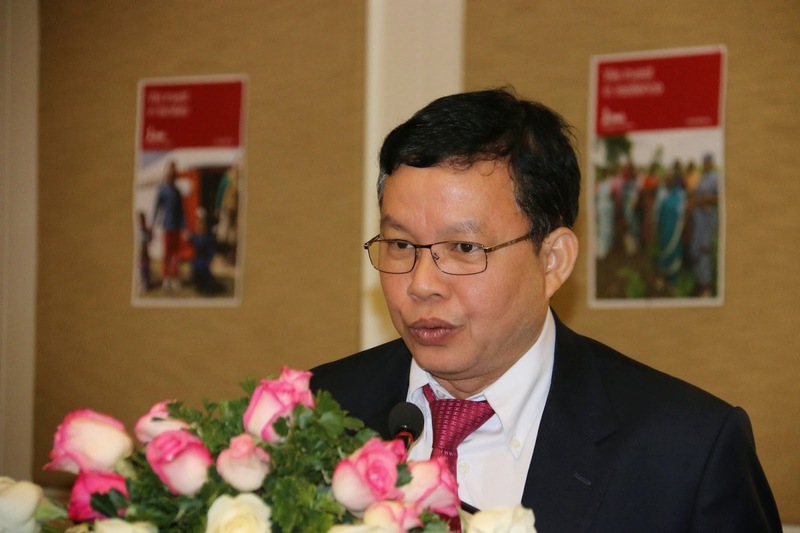 The Ministry of Economy and Finance and particularly Excellency Pen Thirong, Deputy Director General of the General Department of Budget, expressed interest in the knowledge management systems proposed by IFAD, as they offer various entry points to help line ministries adopt the Standard Operating Procedures, Manuals and Guidelines of the Ministry. Experts from Vietnam offered very interesting ideas for exchange and learning from the IFAD Vietnam experience, namely the option to use of a range of instruments that can help to link the private sector and farmers together with Procasur, and international NGO based in Chiang Mai, Thailand and supporting learning routes among farmers and technicians from ASEAN countries.